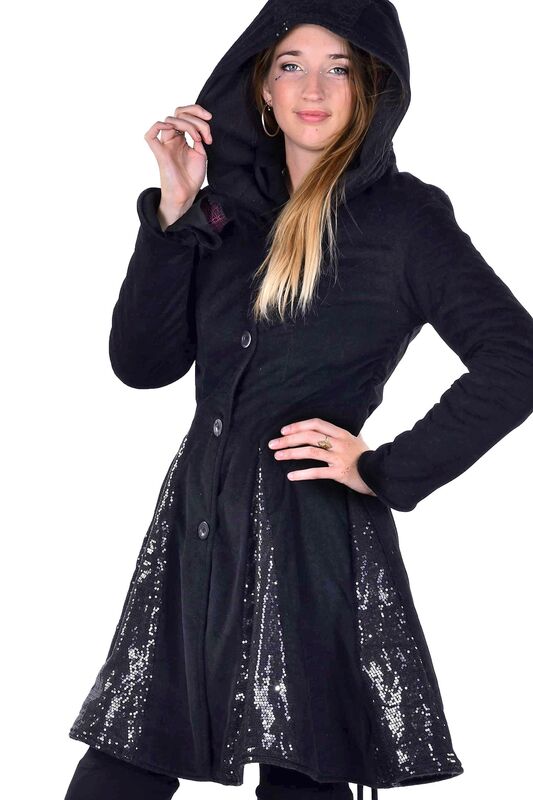 A warm winter coat with a touch of sparkle! 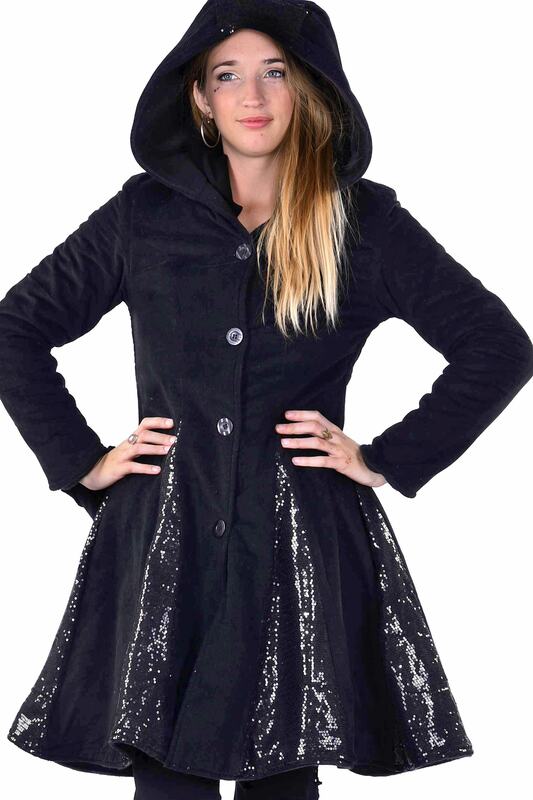 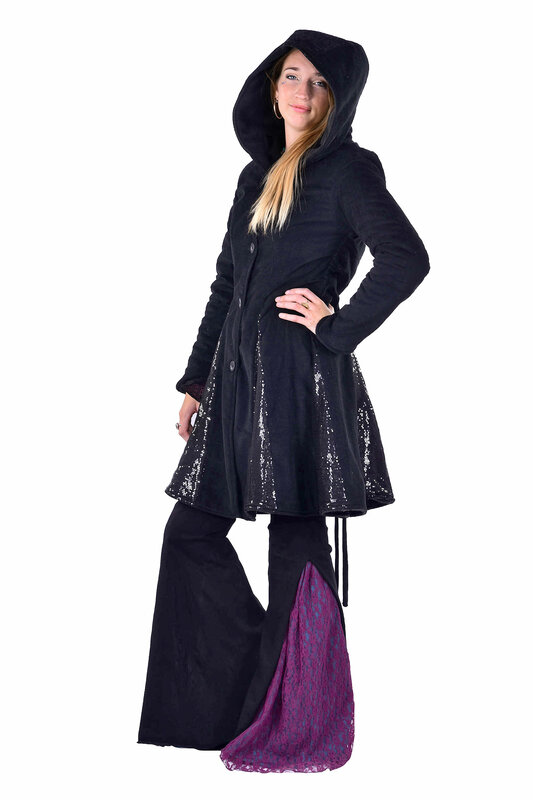 It's made out of thin-stripe corduroy and accented with fab sequin fabric, which you can see on the hood and in the pleats. 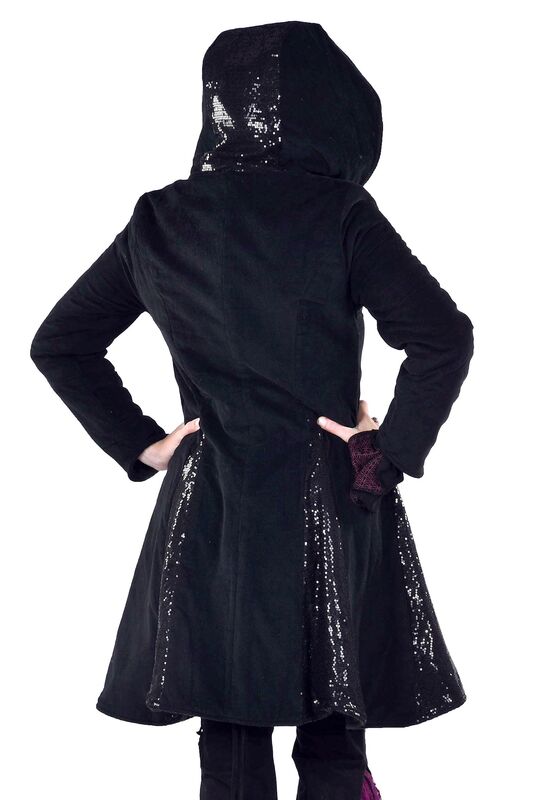 It's super warm, too, because it has two layers of thick black fleece to keep you snug!